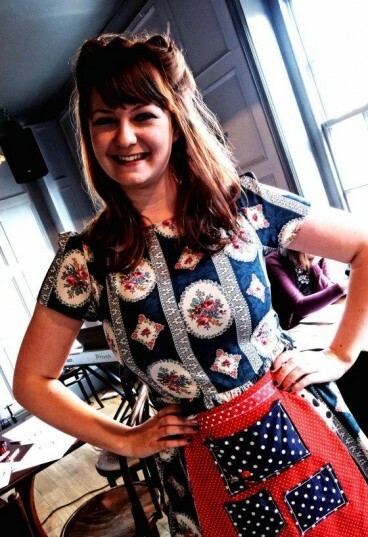 Hello everyone – my name’s Hannah and I blog at www.crafternooncabaretclub.com. I’m a bit of a magpie crafter which is reflected in my blog where you’ll find tutorials for all sorts of different crafts, ideas for living creatively, crafty events and happenings and information about my own craft workshops. I’m very excited to be joining the Minerva Craft Blogger network today! My first post is inspired by the autumn weather, which means that I can spend less and less time in my garden (sad times indeed). So of course what better way to deal with this than to bring your garden inside with some beautifully decorative macramé hanging planters. Macrame is quite a retro craft really – however by using neon pink tshirt yarn (DMC Hoooked Zpagetti Knitting Yarn) I think the craft is brought right up to date. If you haven’t come across macramé before it’s basically a technique to use knots to create pattern. There are lots of ideas and tutorials online to show you different types of knots and for this make I’ve used three types: larks head, overhand knot and a half square knot. - A small planted succulent or anther plant to hang when you’re done! Cut 8 pieces of tshirt yarn, each 2 metres long. Fold them in half so that you will have 16 strands to work with and attach to the wooden ring with a larks head knot (pull the half way fold through the hoop and then loop all of the yarn ends through the fold so that they hang from the wooden hoop). I loved the colour of the DMC Hooked Zpagetti yarn and it’s really good value – I have loads and loads left which I’ll be able to use for a knitting project! 1) I split my 16 strands into 4 groups of 4. For each group I tied 8 half square knots which create a pretty spiral effect. 2) I then started knotting alternating pairs of yarn using overhand knots. I spread these out to create the effect of a net. 3) To finish I brought my overhand knots closer together so that they could support the plant pot. I then tied all of the strands together with another piece of yarn underneath where the pot will sit. I decorated my hanging planter with a tassel created from the yarn and tied to the base of my macramé. I also threaded wooden beads into the tassels to add some contrasting visual interest. You could also paint your wooden beads if you wanted morecolour! Finally I found a pretty spot to hang my finished planter! This was such a fun make and you could really go to town with how decorative you make your design; incorporating more beading, or more complicated knotting. I’m already planning to fill my windows with succulents this winter and then take the planters outside for summer next year!